The head of the Commodity Futures Trading Commission said during a Senate hearing on Thursday that any federal-level approach to cryptocurrency regulation should be “carefully tailored” to the risks involved. 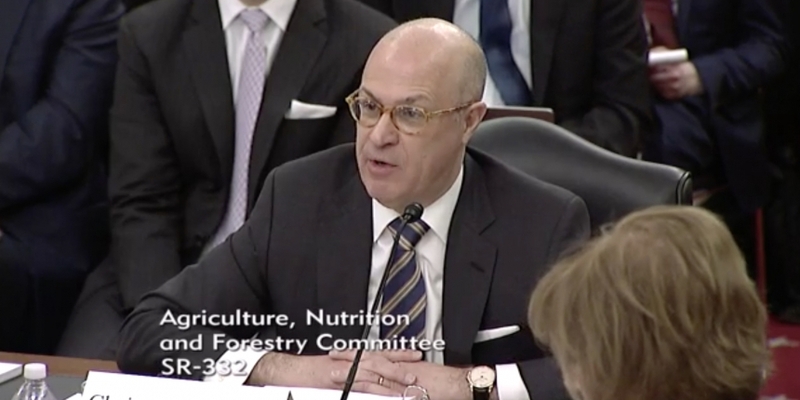 The comments by CFTC chairman J. Christopher Giancarlo, issued before the Senate Agriculture, Nutrition, and Forestry Committee, came days after he and Securities and Exchange Commission chief Jay Clayton testified before the Senate Banking, Housing and Urban Affairs Committee on the topic of cryptocurrency oversight. “Overall, a rationalized federal framework may be more effective and efficient in ensuring the integrity of the underlying market,” he concluded. The comments come after Giancarlo – who arguably won over segments of the cryptocurrency community by declaring that, without bitcoin, “there would be no distributed ledger technology” – urged for a balanced approach to regulation when speaking before the Senate committee last week. “We owe it to this new generation to respect their enthusiasm for virtual currencies, with a thoughtful and balanced response, and not a dismissive one,” he remarked at the time. According to the CFTC chair, the agency will continue to pursue enforcement actions where necessary and continue advising – and warning– would-be investors. This morning, the agency published an advisory on the risk of cryptocurrency pump-and-dump schemes.